"We Are All Made of Stars" is a song by American electronica musician Moby, released as the first single from his 2002 studio album 18. It was the most popular song on the album, reaching number 11 in the UK Singles Chart. The song was also featured on the 2008 album Songs for Tibet an initiative to support Tibet, Dalai Lama Tenzin Gyatso, and to underline the human rights situation in Tibet. The album was issued on August 5 via iTunes and on August 19 in music stores around the world. The song was written in New York after the September 11 attacks to express a sense of hopefulness. Moby has stated that the song was inspired by the song "Flowers" from the album Today by the American alternative rock band Galaxie 500, as well as quantum physics in that "On a basic quantum level, all the matter in the universe is essentially made up of stardust." Some lyrics were taken from the trailer for The Royal Tenenbaums. 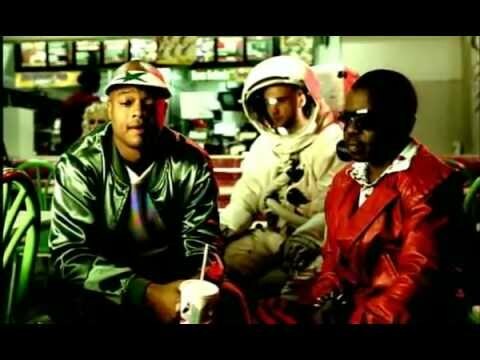 The song's music video, directed by Joseph Kahn, edited by David Blackburn and photographed by Brad Rushing winning the MTV Video Music Award for Best Cinematography, points out the excesses of the typical "Hollywood" lifestyle, showing celebrities in seedy environments, while Moby, an outsider to that world, is portrayed as a spaceman. Both Moby and the celebrities lip-sync to the song. The atmosphere of the video was inspired by photographs by Philip-Lorca diCorcia. The theme and some of the imagery also derives from the 1968 film and novel, 2001: A Space Odyssey, particularly the Star Child motif ("We are all stars") and Moby's appearance throughout much of the film wearing a space suit.